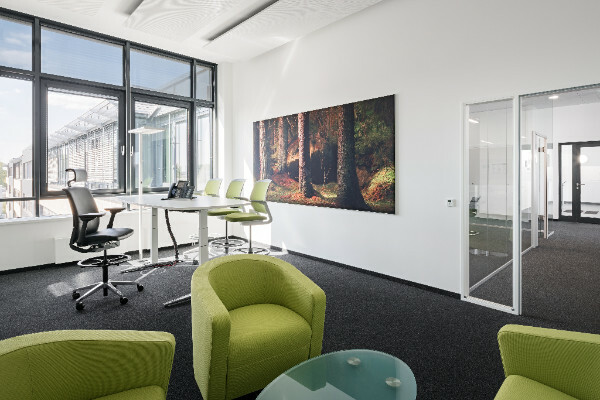 Deutsche Bahn AG rented 4,500 m2 of new office space at the Europa-Center Berlin Adlershof. 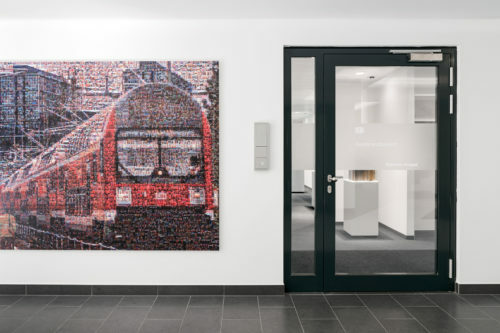 In the open-space offices using Matrix Frame silicone-edge fabric graphics and aluminum extrusion non-lit frames, Erler&Pless created over 400 m2 of wall art to help enhance the decor. On special request from the client, the Matrix Frames are fitted with multi-layer acoustical fleece to help with sound absorption.